Just recently I have been looking at old photographs of when we started the Heal Project. It was in 1999 when we visited our daughter Dr Helen Ayles and met up with Jeannie and the small group of women attempting to earn some money with their sewing group. At that time we settled Jeannie’s family and a number of orphans in rented accommodation and then purchased the land and built the orphanage with its large grounds. Soon after Jeannie asked if we could set up a school on the edge of the Ngombe compound a few miles from Lusaka for orphans and children from poor backgrounds who could not afford school uniform, shoes and books, etc. needed to attend government schools. At that time we opened with one classroom with a thatched roof, housing a few children with one teacher. 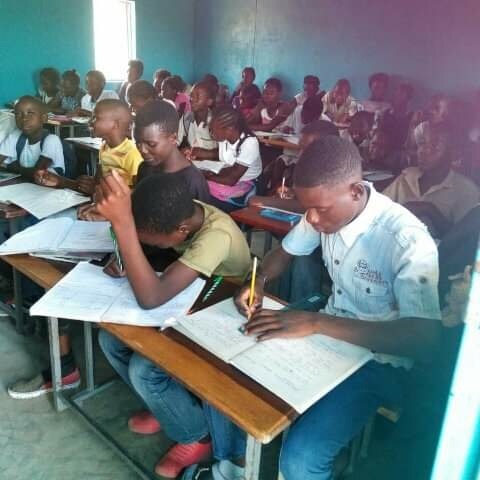 Now there are four large and airy classrooms with lessons taken in a shift pattern, some beginning at 7.30 a.m. until 10, and then after the school break with usually a roll and a drink of water, other pupils are taught. There is now an office, and just recently we have added two small houses for caretakers, ex pupils of the school. One other area is the large building with an open front which is used for sewing classes, art lessons, and other recreational and community uses. Although not a government funded school, a team from the Ngombe Health Centre visits and uses this area for various clinics. 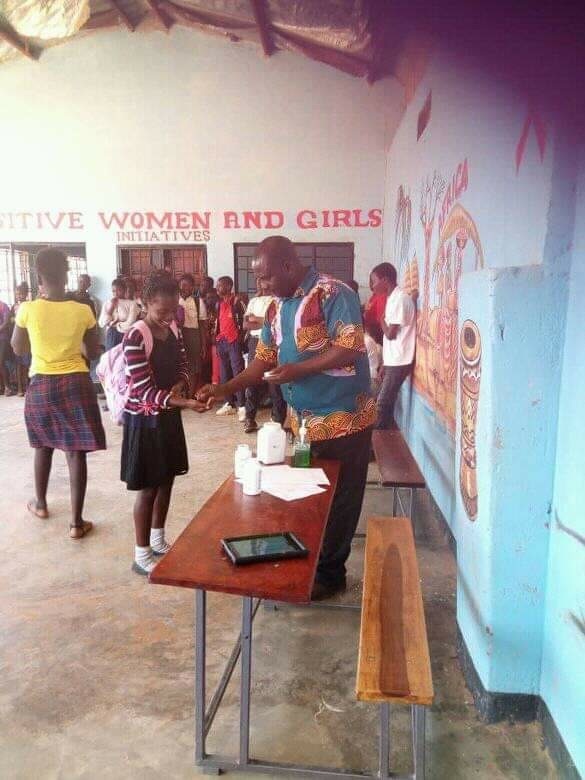 At the beginning of the September term they came to the school to provide vitamin supplements, vaccinations and deworming treatments. All the children were seen and given the appropriate medication. 49 pupils have just recently completed their Grade 7 exams which, unfortunately, is as far as we can take them and they will leave the school. However, all have received a good grounding in school subjects, including work on tablets and computers necessary for today’s world. 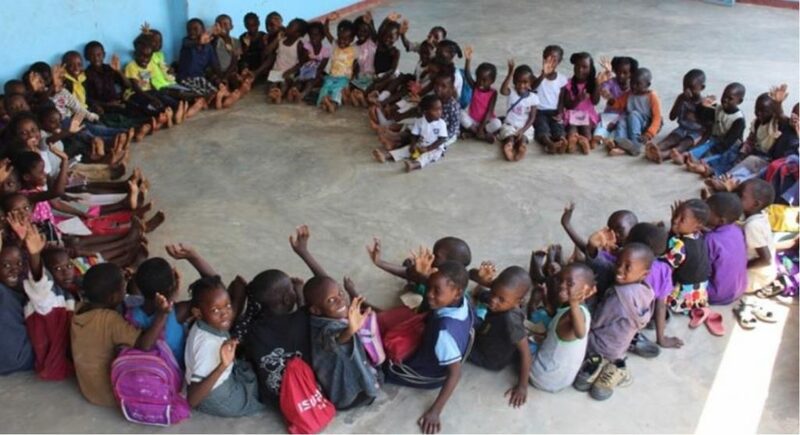 Now a group of pre-school children are ready to begin school. The school will shortly break for Christmas and I am hoping to send extra money for the children to have a Christmas party. Helen has said Christmas for many of these children will be meat for dinner on Christmas day. I would like, also, for the teachers to have a bonus for all the hard work they put in. At present we pay them only a little over £150 per month, which I am sure does not run to extras for the festive season. We are grateful to all who contribute to the Project – your donations are much appreciated.